I have warm feelings of nostalgia for the movie Hackers, even though I know it's not that great of a movie. It shows a world where hackers are cool teens who wear crazy outfits, spraypaint their computers and rollerblade through New York. I love how it tries to make hacking and the '90s internet look more interesting and interactive than it was. I found out about a movie called Cyberteens in Love recently, but I haven't found much more than this clip. The clip does have Sullivanmovies.com superimposed over it. 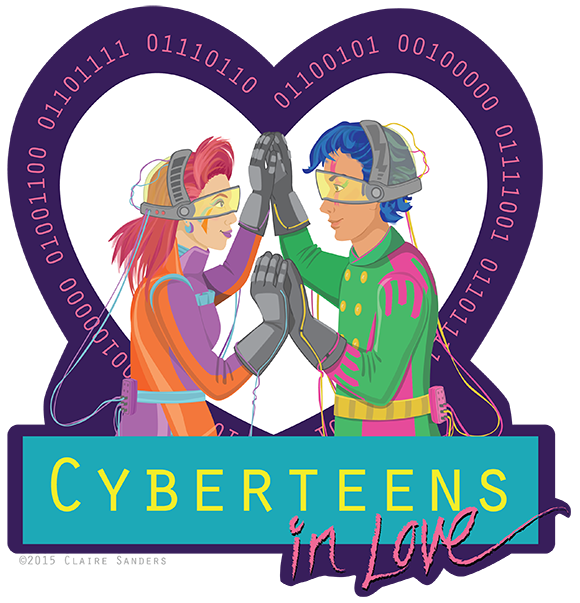 I checked out the site and they don't mention anything about Cyberteens in Love. The IMDB has just the basic information plus a terrible review. Well I love terrible movies and I love dated projections of the future so I really want to find this movie. If anyone knows about this movie and a way to find a copy, please let me know!